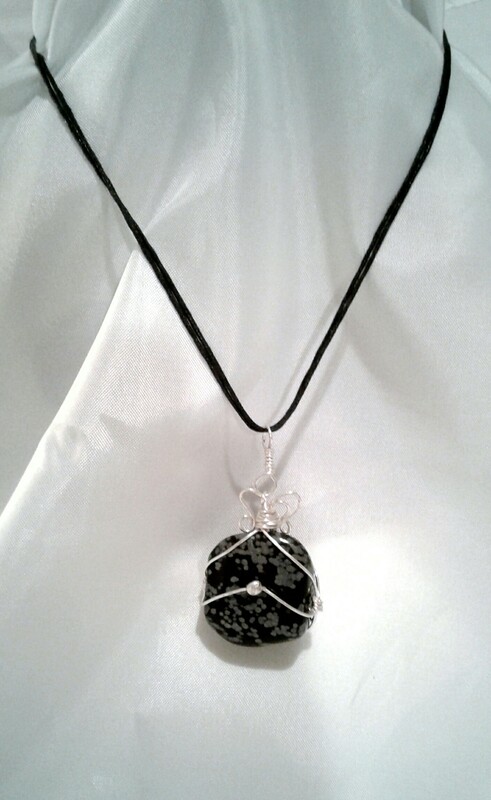 As mentioned in the description of the Chiaroscuro Necklace, available HERE soon, Obsidian is actually a hard, dark, glasslike volcanic rock formed by the rapid solidification of lava without crystallization. 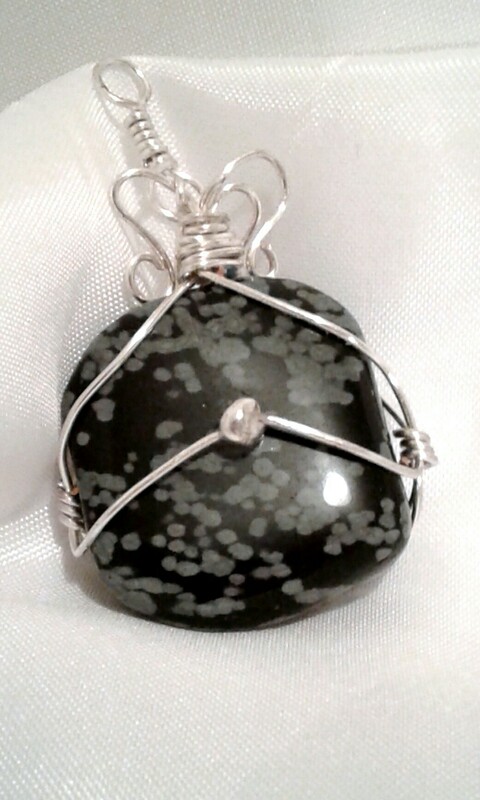 Snowflake Obsidian is so called because it’s black basetone is offset with white, snow-like speckles caused by ash settling on the glass as it cools. It’s said to lend great strength to those who are weak and protect the gentle from abuse, and all forms of Obsidian is useful to people who live in a city or have to endure an unpleasant atmosphere. 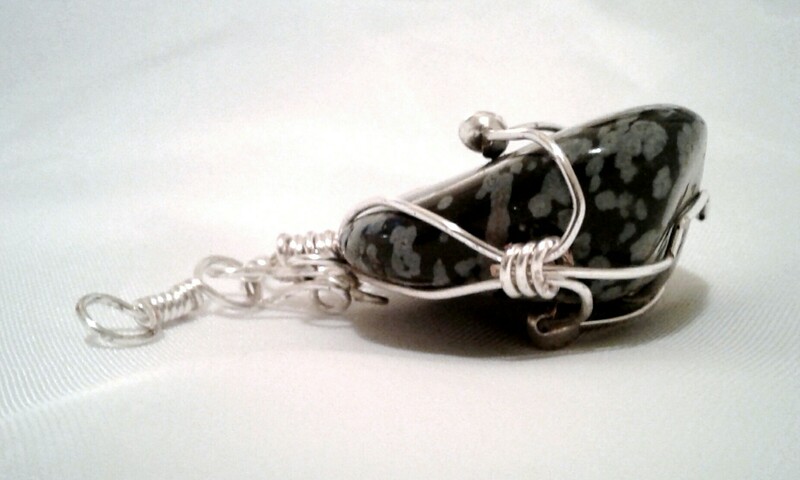 The blocky, wedged shaped stone has been softened with a fall of gently curled silver plated wire, almost calling to mind a perky, undaunted bow, and emphasized on both sides with a plated crimp cover over the angle points, to echo it’s silvery spots. Approximately 1 1/2 X 1 X 1/2″ thick- Chunky and bold.